Even though the wedding is just two weeks away, it’s not too late to plan something fun so that you can feel part of the royal wedding. And although it's no longer Princess Meghan's day, I look forward to seeing her decked out as the Duchess of Sussex. The most obvious choice is holding a viewing party, but here’s the rub—Princess Eugenie and Jack Brooksbank's wedding takes place at 11:00 am London time. For us Yanks, that’s 6 AM on the East Coast and 3 AM on the West Coast. Ouch! And you’ll want to start watching one hours earlier to see all those fancy people show up in their fancy garb. Of course, you can always tape it and watch it the next day. So, the first thing you need to do is get together a few friends and decide whether to stay up all night or watch it taped the next day. Royal Pampering! ~ The princess is going to be quaffed, gussied, and powdered (well not powdered—wrong century). But she will want to look her best. Wouldn’t you, if millions of people (via tv or streamed live) were going to be staring at you? Even though we’ll be celebrating in private, there’s no reason we shouldn’t also look our best. So, grab a couple besties and go out on Thursday to get a mani-pedi or pick up a funny hat to wear. Burlington Coat Factory is great for that. For an inexpensive tiara, a certain big box store (starts with a w), carries them for about $10 and they’re pretty. 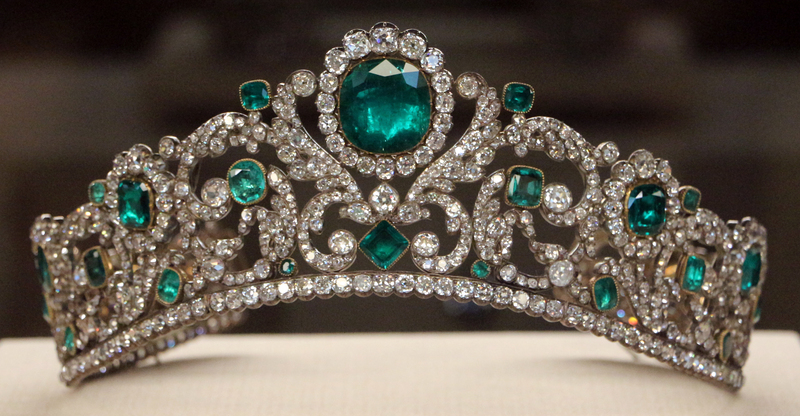 This gorgeous tiara belonged to eldest daughter of King Louis XVI, Marie-Thérèse, (circa 1819). Viewing Parties ~ Celebration activity number one, pampering—done. On to number two—how to watch the wedding in style? Host an Afternoon Tea but in the middle of the night! There are tons of ideas online, but don’t forget to offer a prize for the best fascinator. Fancy it up with a request for Sunday-best attire and top hats, and invite your friends with beautiful wedding-style invitations. Or try a Cream Tea or High Tea. Since it’s the middle of the night, offer lighter fare with a Cream Tea (doesn’t mean cream in the drink, but rather just scones and desserts) or go for a full, beefy meal with a High Tea (which refers to the height of the table, not the royal-ness of the event). Or offer a traditional English Breakfast, especially apropos for the US east coast. Next Day Parties yield lots of flexibility. You can do an Afternoon Tea that’s actually in the afternoon, a black-tie evening reception, or even just a pizza party (try making individual pizzas in the shape of crown). A Princess Bachelorette Party would be perfect if there’s a friend getting married in the near future. You can do it as a RW watch party and or just go with the Princess theme and give all the attendees a tiara (although in the UK, traditionally only married ladies can wear one). Royally Romantic Night ~ You can make this an uberly romantic celebration with your special someone. Go to bed early, get up in the middle the night, and just lay in bed together watching the wedding. Do it up right and have your favorite fancy treats and champagne or, better yet, stay overnight in a nice hotel with a beautiful city or water view and watch from there. Why not? Usually, we waste our nice hotel stays…sleeping. We can do that back in our humdrum bedroom the next day. Earth Day Party ~ While the new Duke and Duchess of Sussex requested donations to their favorite charitiesin lieu of wedding gifts, Princess Eugenie is also working to bring attention to a cause she cares about. She and Jack live in a plastics free home, and she has asked that her wedding be plastic free too. Besides overflowing our landfills, plastics are hurting marine life and clogging rivers and the ocean. So you can opt for a plastics free party or even better organize some friends to spend an hour or two cleaning up a park, the beach, or wetlands of plastics and garbage. Or undertake any kind of earth friendly activity, no matter how small. 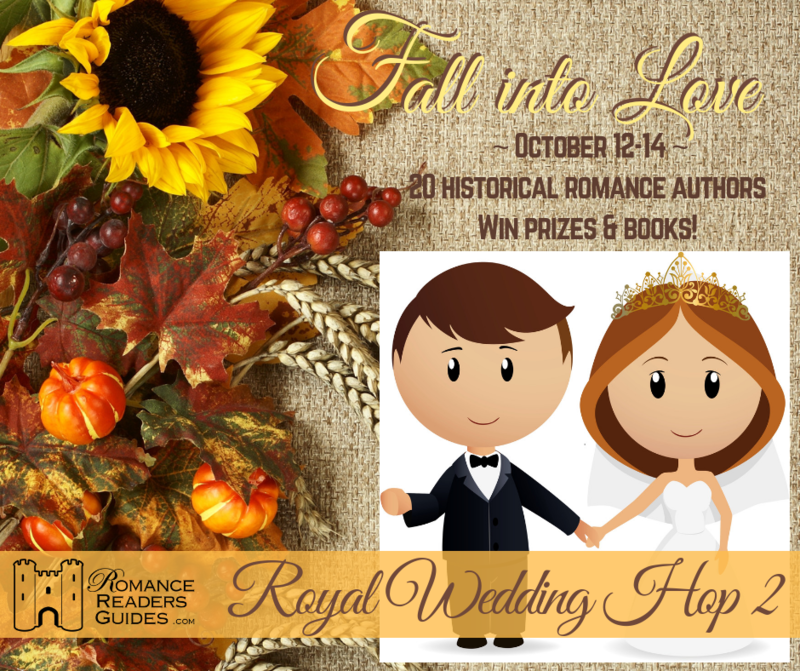 And, lastly, my favorite (admittedly self-serving) suggestion for celebrating is to join our Royal Wedding Facebook Hop and celebrate along with 21 best-selling and award winning historical romance authors who’ll be giving away prizes and posting their favorite wedding photos all weekend. Whatever you choose, it’s going to be a fun weekend. 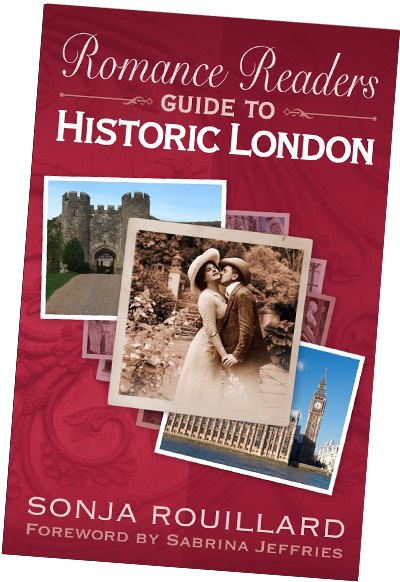 And, if you want to know more about the places that are important to the bride and groom, such as Windsor Castle, consider getting yourself a copy of my Romance Readers Guide to Historic London, and you can read my other article, American Royalty — 5 Americans Who’ve Married Up for more royal love affairs. Photos in the public domain. 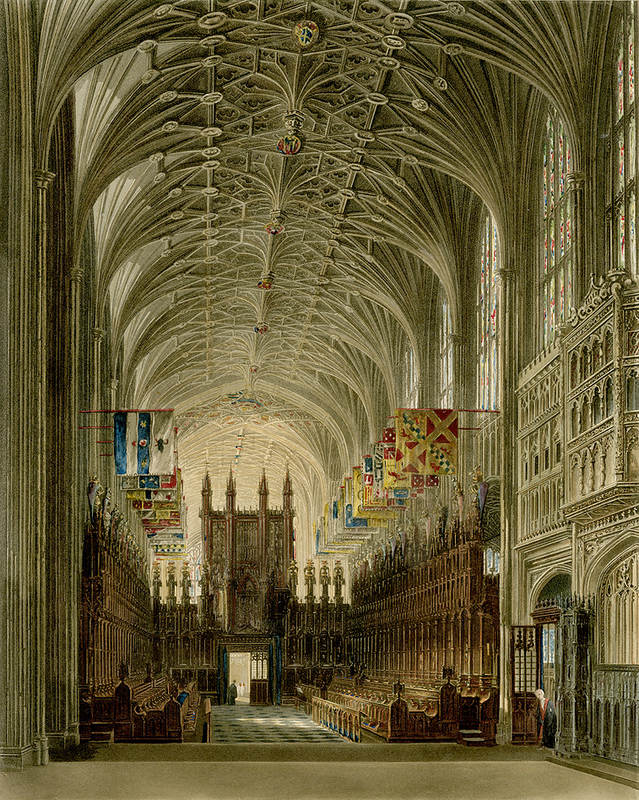 Painting by Thomas Sutherland, 1819.